And you can, too, thanks to the Dreamland Wax Museum's new app. By Spencer Buell·	 6/15/2018, 11:36 a.m. Since it opened next to City Hall last summer, the Dreamland Wax Museum has specialized in bringing historical figures and celebrities to life with, well, wax. But now, the tourist attraction is resurrecting them with pixels, launching an interactive app that harnesses the power of augmented reality—and which, for the last 24 hours, has consumed a good chunk of my life. The app supplements the wax people-viewing experience inside the museum with little animations that pop up when you point your smartphone at its various exhibits. I’m sure it’s a lot of fun for the entire family to enjoy. But the thing you need to know about the Dreamland Wax Museum’s new app is that no matter where you are, it lets you summon a cheerful, bespectacled Benjamin Franklin at the tap of a button. 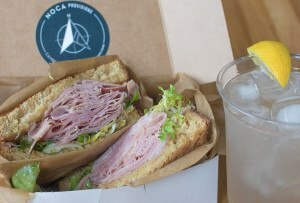 You could do this right now. I won’t apologize for liking this little guy so much, or for being consistently wowed by what is at this point fairly commonplace app technology, ever since phone companies started making their products AR-compatible and Pokemon Go used the technology to break our brains. 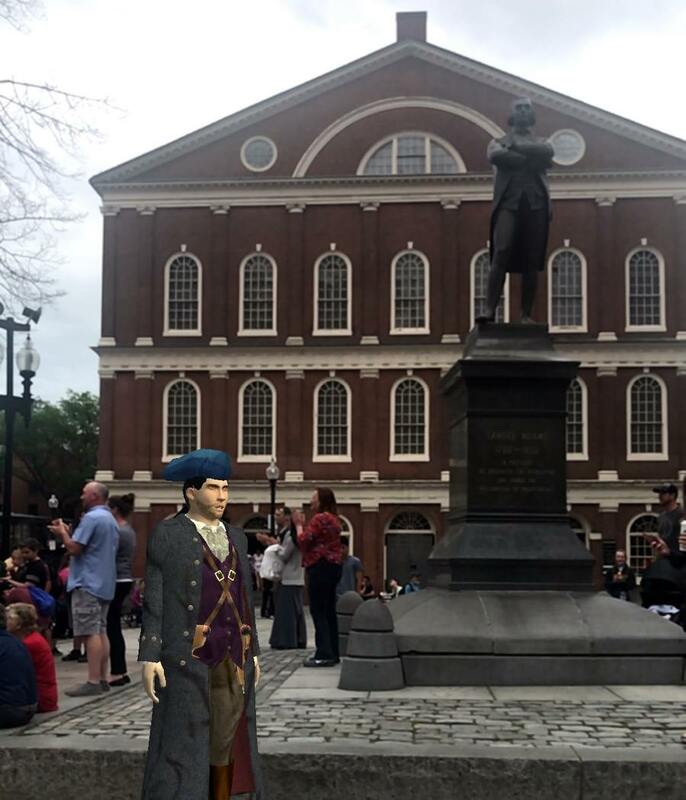 It’s liberating, in a way the founding fathers could never have anticipated, to just make a cartoon man appear literally anywhere, while pedestrians and tourists around you have no clue that a miracle is taking place in their midst. Feel free to summon Ben Franklin anywhere you please. Take him out on the town. Have him give his speech at Whole Foods. Commute with Ben Franklin. 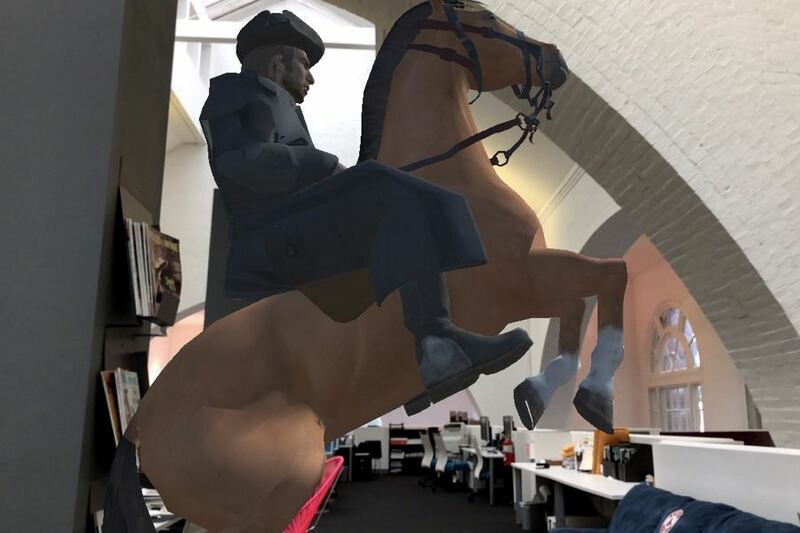 Of course, the real purpose of the app is to promote the digital enhancements you can find at the museum itself. So give that a whirl as well. Aim it at the wax Steven Spielberg, and watch a virtual T-Rex clomp around the room. Visit the wax John F. Kennedy, and the app produces a life-like TV showing a news clip of JFK discussing the Cuban Missile Crisis, just as it might have looked if you were transported back in time. Use it with the George Washington exhibit, and a virtual George and crew paddle a boat across the floor. 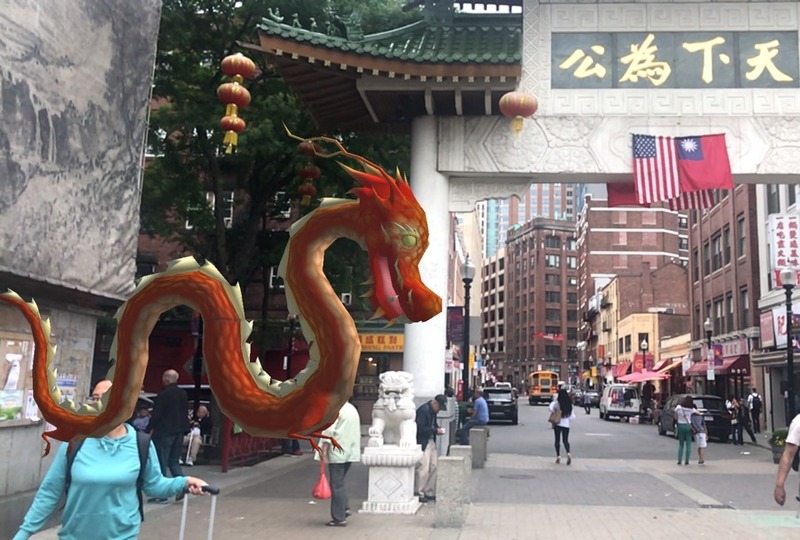 Elsewhere in the city, more AR experiences await. 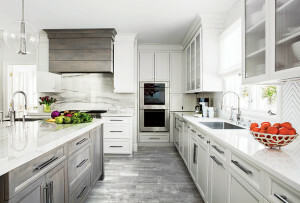 A map inside the Dreamland app directs you to several historic sites, like the Bunker Hill Monument and Fenway Park, where the app can be used to trigger colorful animations and short speeches. Head to Quincy Market, for example, and you’ll meet a pistol-packing Sam Adams with giant hands. “Our contest is not only whether we ourselves shall be free, but whether there shall be left to mankind an asylum on earth for civil and religious liberty,” he’ll tell you. Or stop by at Chinatown Gate, where you can find a slithering dragon. I’m having myself a time. Dreamland is only the latest Boston attraction to put AR to use. The Gardner Museum now has an app that lets its stolen artworks re-appear on visitors’ iPhone screens. 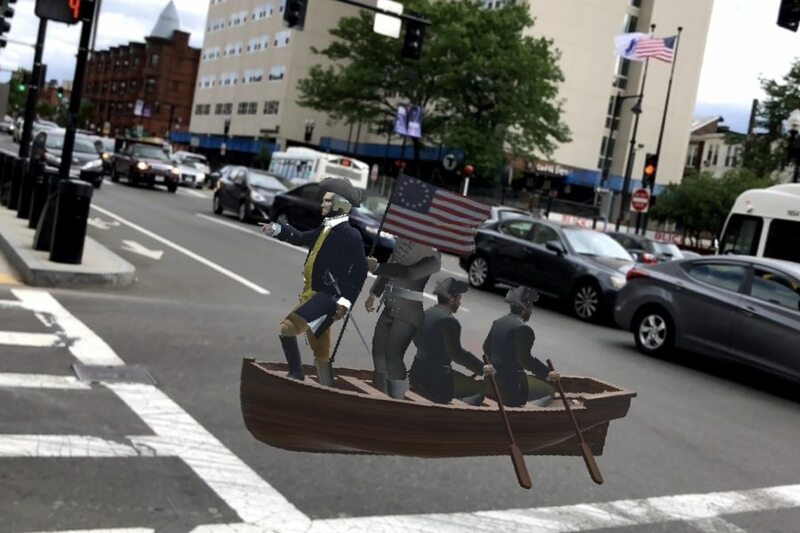 MIT last year debuted a series of AR-enhanced murals. 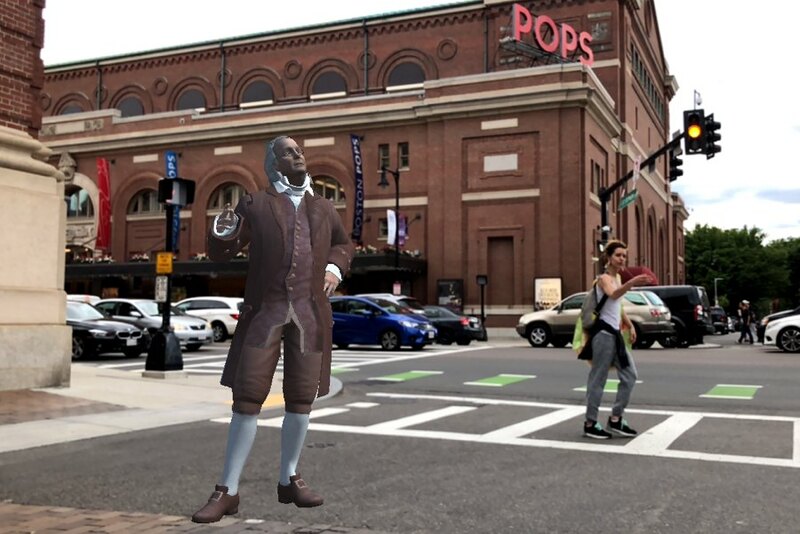 The purpose of this particular app, which has been available since May but is being promoted widely for the first time, Sheils tells me, is to link the relatively new wax museum with the rest of Boston’s historic sites and pay tribute to them. “We want to help tell that story and be part of that history in a really engaging and meaningful way,” he says. I am very engaged. It’s also pretty effective advertising, if you ask me. Sure, it’s easy to ignore a stale, stationary ad on the subway. 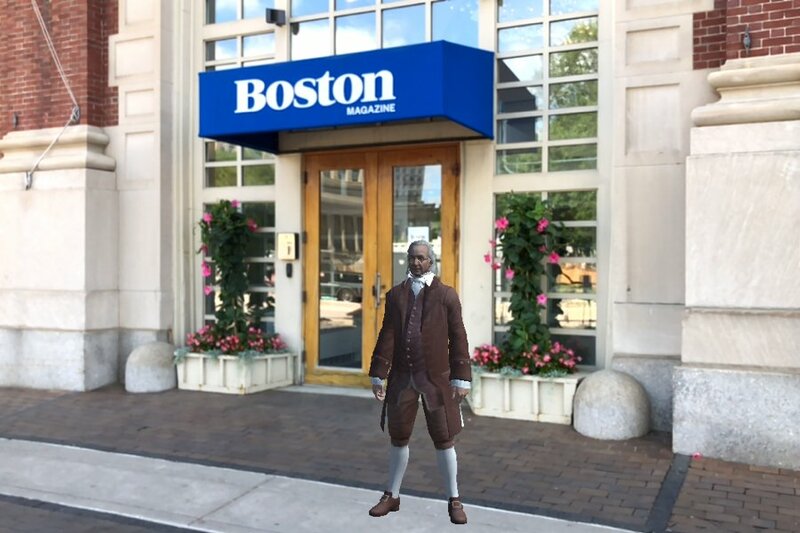 But what if the ad was Ben Franklin, loitering outside your building?